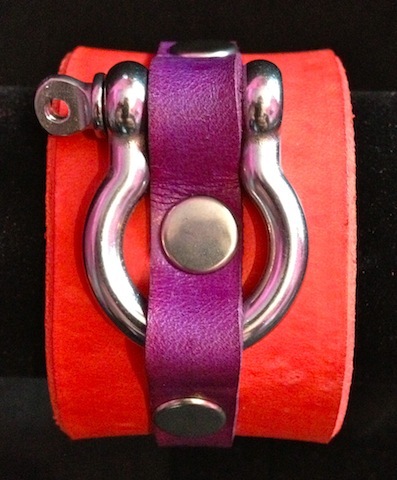 NEW WITH THE 2013 EQUESTRIAN COLLECTION: CHECK OUT OUR BRAND NEW COLORS! Unleash the fearless adventurer in you! 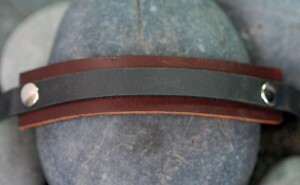 The brown LATIGO cuff is 1 5/8 wide (45mm) and the black version is 1 1/2 wide (38mm). 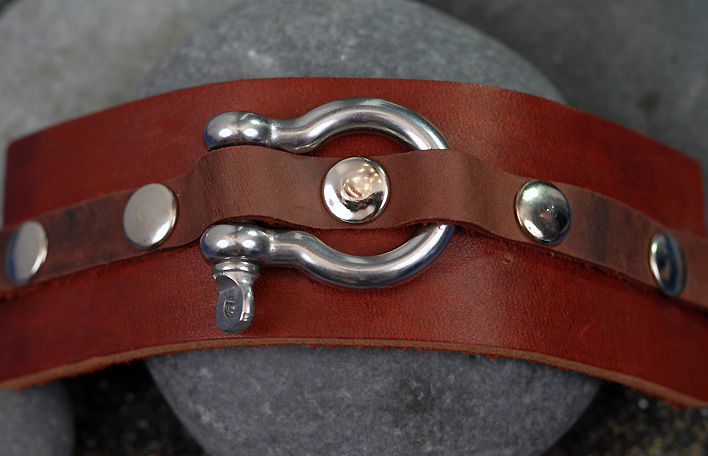 This piece features a real, marine-grade nautical anchor shackle at its center. The shackle is made of stainless steel, which will not rust. 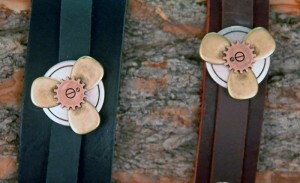 A silver strap buckle (pictured on the right). 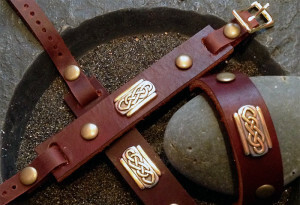 This is the perfect option if you are not sure of your wrist size, if you are ordering it as a gift, or if you and your sweetheart are planning to take turns wearing it. 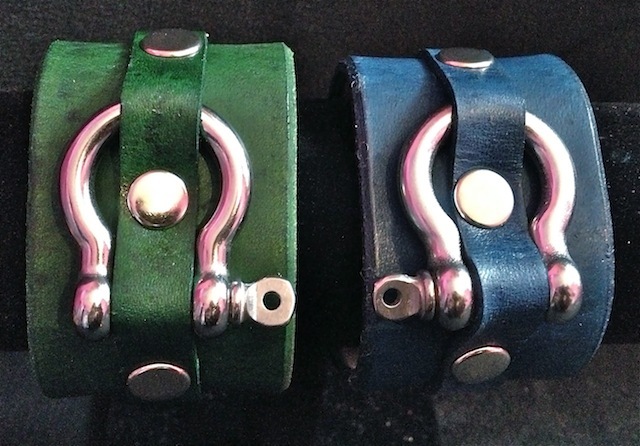 It is a unisex collection, after all! The silver buckle is made of solid brass/nickel plated and fits every female and male wrist sizes, from 6 1/4 to 8 1/2 inches. 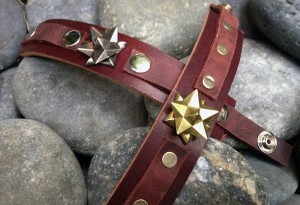 If you want this style, please select “one size fits all” in the drop down box below. Do you prefer your jewelry custom made, for the exact fit? 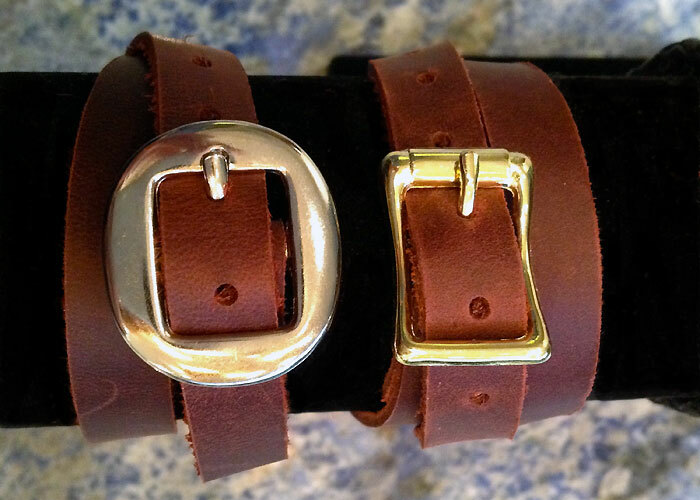 We offer a stainless steel wristwatch-style clasp that snaps into place, ensuring a snug, comfortable fit. Make sure you give us your exact wrist measurement, however. 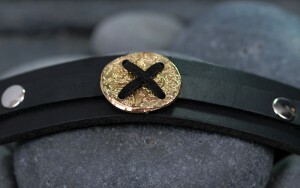 Since this bracelet is custom made to your specifications, we cannot accept returns if you pick the wrong size. Need some help with that? Click here for help in finding your wrist size, then select the corresponding size in the drop down box below. 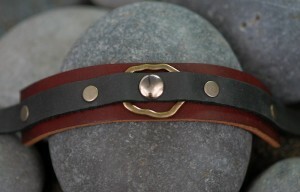 Design your own cuff with 2 different colors. The sky is the limit! Available colors: Brown, Black, Red, Orange, Bright yellow, Forest Green, Evening Blue, Turquoise and Purple. Please specify the color combination you would like when placing your order or send us an email at missnyet@missnyet.com. 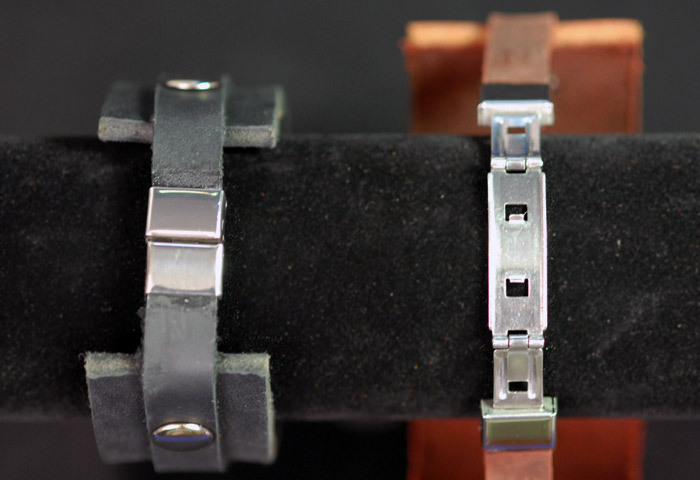 Please note that if you pick the wristwatch-style clasp as closure, we cannot accept returns if you pick the wrong size. Make sure to size your wrist before ordering.